Around the Common: 2019 Dog Licenses Available for Sale Now! A dog licensing form to register dogs for the calendar year 2019 will be sent to all residents with the 2019 Annual Town Census. Dogs not registered by March 1st will be charged a fine of $10.00 in addition to the cost of the license as required by the Canine Control Ordinance. 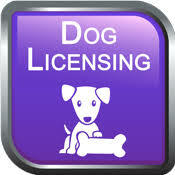 Licenses may be purchased in person at the Town Clerk’s Office, located at 66 Central Square in the Academy Building. Office hours are Monday through Thursday 8 a.m. to 4 p.m., Friday 8 a.m. to 1 p.m.
Additionally, licenses may be purchased online through the Town’s Website: www.bridgewaterma.org by clicking on “Make a Payment” to access the ONLINE PAYMENT CENTER.